Vegan Quinoa - Creamy NEW Recipe! 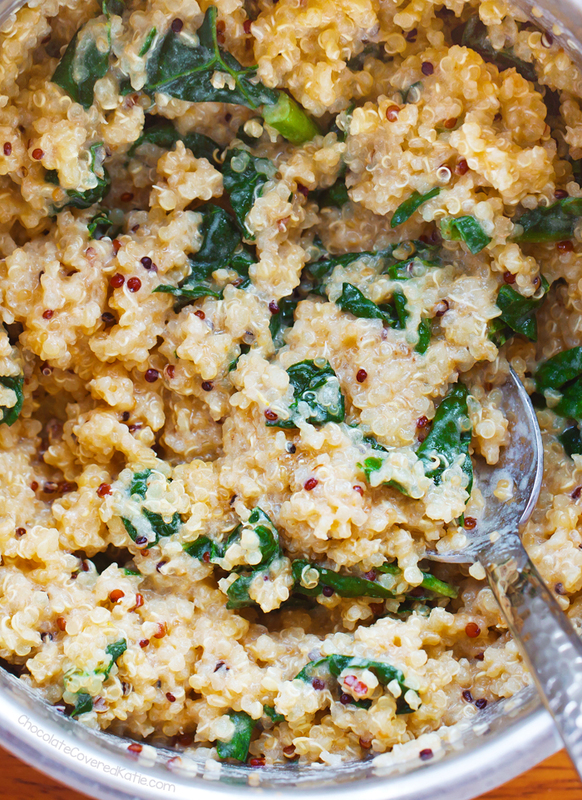 A simple, savory, wholesome meal in a bowl – this creamy vegan quinoa recipe is pure comfort food! This healthy and plant-based “one bowl” meal is such a perfect dinner for any cold winter’s night, and the recipe is super easy to customize, so you can make it your own with the ingredients you have on hand. 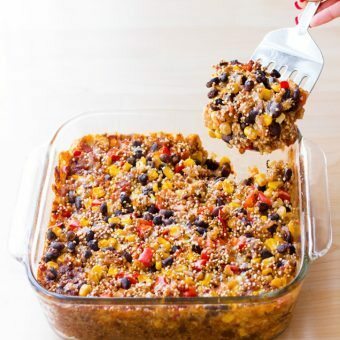 Feel free to add your favorite veggies or swap out the kale for spinach, use rice or barley in place of quinoa, or increase the protein in this powerhouse recipe with the addition of beans or another favorite protein source. 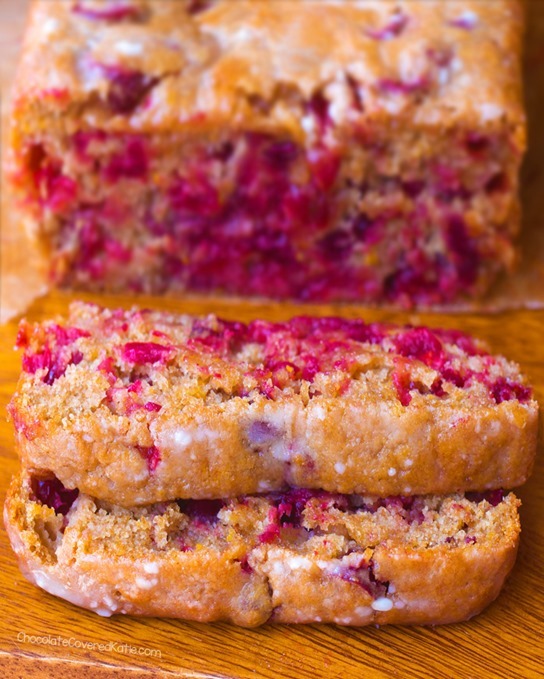 It can be both gluten free and soy free, and you can opt to eat it as a hot meal or cold for a quinoa salad. Leftovers make a really great lunch too! And look! 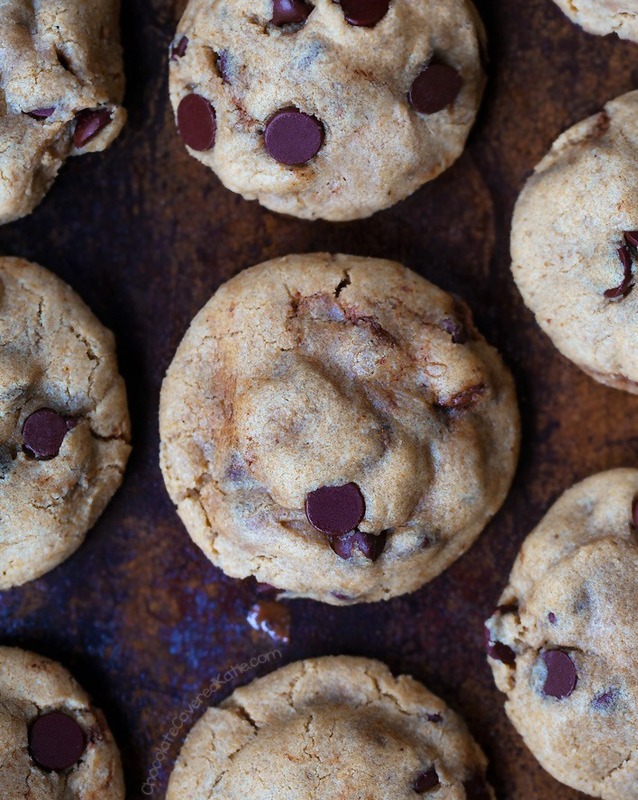 It’s a kale recipe that isn’t Chocolate Chip Kale Cookies! One of my goals for 2018 is to really make a conscious effort to slow down, especially when it comes to meals. Food is such a huge part of my life (clearly – I run a food blog as my full-time job! ), and I grew up in a family that believed in long and relaxing meals together at the table, even on weeknights. We would eat slowly, enjoying both the food and the time catching up with each other. But being on my own and working from home, it’s sometimes easy to fall into the habit of inhaling my meals much too quickly while focused on other projects, never actually sitting down. I know I’m not alone in this and that it isn’t only a problem for people who work from home – many of my friends complain they find themselves doing the same thing, eating lunch at their desk in ten minutes flat so they can get back to work. But meals like this comforting vegan quinoa bowl ought to be savored slowly, letting your senses take in all of the flavors and textures. Serve it with rustic bread or a side salad, and a glass of wine if you wish, for a healthy and filling meal that will leave you feeling nourished without weighing you down. Note: If you want to sub a lower-fat milk, such as almondmilk, for the creamy liquid, it’s fine and would just recommend including the optional buttery spread in that case, for added richness. Bring the first 5 ingredients and optional buttery spread to a boil. Once boiling, turn to a simmer and cover 20 minutes or until fluffy. Stir in the kale and cream until kale wilts. Season with salt and pepper as desired. I add another 1/2 tsp salt, but some people prefer less or even none. If adding a protein—such as tofu or beans—you can opt to cook the protein first or stir it in with the quinoa, depending on what type of protein you’re using and if it needs to be cooked longer. I appreciate the surplus in vegan meal recipes, as I am trying to eat less meat and dairy. I have made and enjoyed your mushroom barley soup and sesame cauliflower, and this looks just as delicious, so thank you for this. Have you ever tried overnight oats? 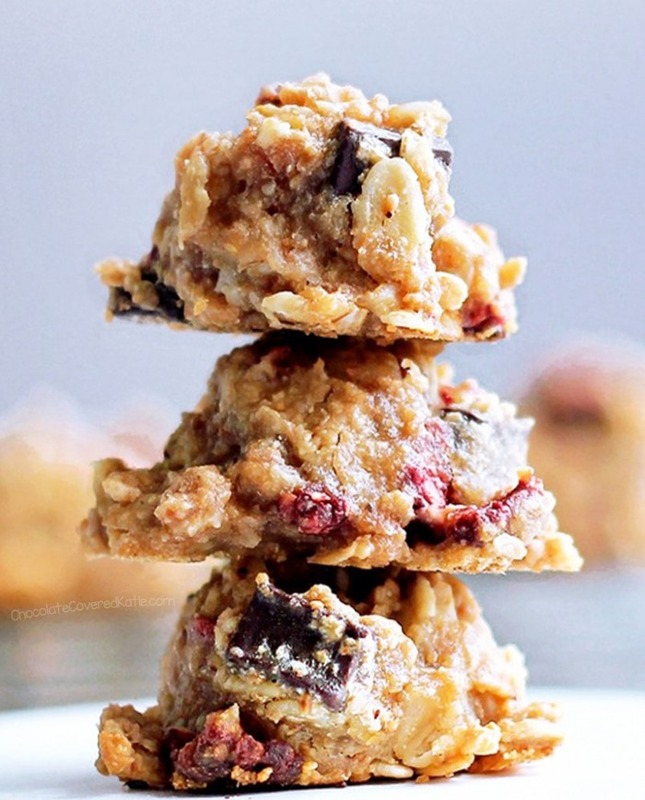 If you like this recipe I have a feeling you’ll like overnight oats too! Ooooh I will definitely be trying this! I love quinoa bowls and have done something similar but never with the cream part. 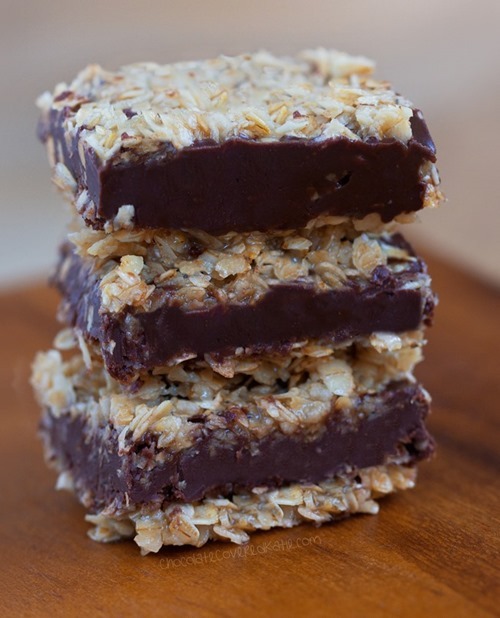 Coconut milk sounds like an awesome addition and I already see all the yummy variations — thanks Katie! 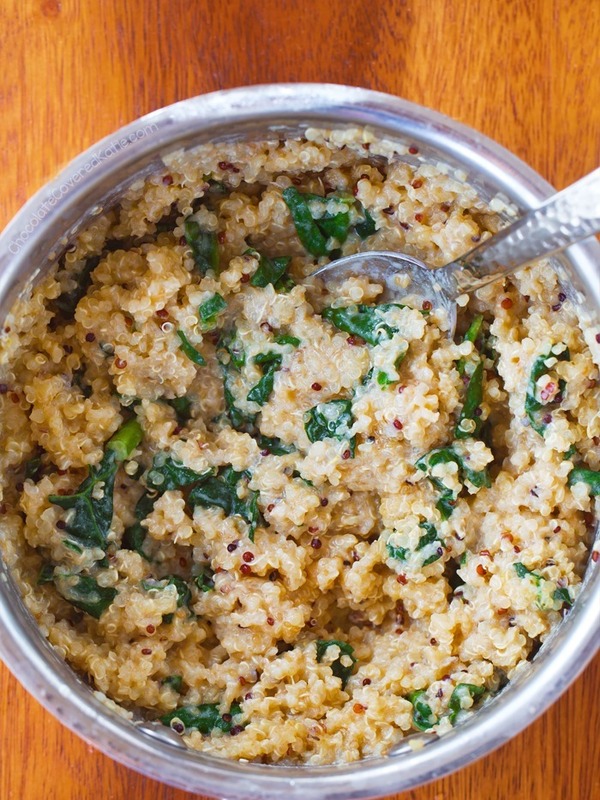 Would this recipe be as good with only red quinoa? I usually cook with white but currently only have the red kind. Might be less creamy, but I think still good in its own right! Turned out very creamy and delicious! Great weeknight meal! I just happened to have all the ingredients, so I made this right away. It was creamy and delicious, perfect for lunch on a cold day! 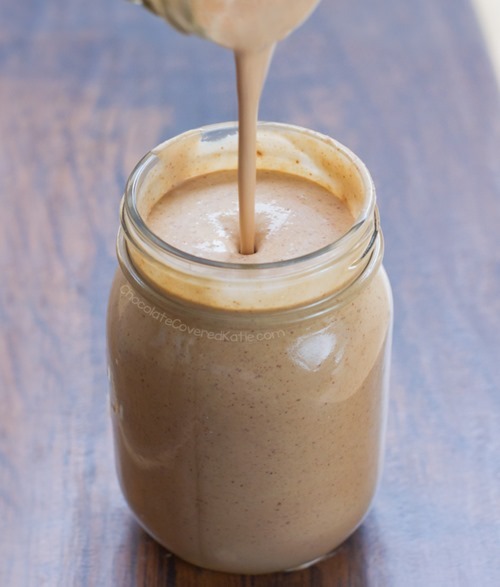 How do you make cashew cream? i made it this evening and it was delicious! I used coconut milk and kale options. Can someone help tell me what kind of flavor this would end up having? I’m not sure what I’m thinking is right. This recipe tastes cheesy and mild. Very similar to many comfort foods. It’s not coconutty, just nice and savory. I made this for tonight’s dinner. It was so delicious. I just made this dish and it was delicious. To me it tasted like Risotto without the labor. I made this tonight and used low fat almond milk (instead of cream) and did not add the optional buttery spread either and it was delicious.. I also used spinach instead of kale. It was true comfort food. One of my favorite ways to make quinoa even more comforting is to add canned tomatoes or tomato paste with curry powder! It tastes like a quinoa curry this way! SO yummy. I love this idea, especially since people are making more of an effort to eat plant-based and healthier as well! I made this earlier this week….. this ‘cheesy’ dish is AH-MAZING!!!!!! I’ve been putting the leftovers on top of a salad woh black beans for lunches at work…. so good. Thank you for sharing another super yummy recipe!!! mmm yes this looks delicious! 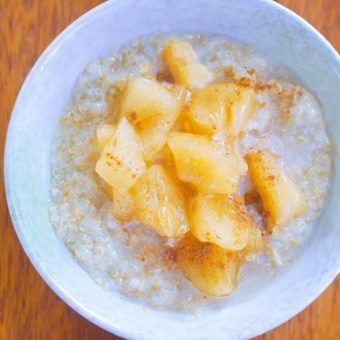 great healthy meal idea, I would love to have this to breakfast. I made this in my Instant Pot. I combined the first five ingredients and cooked on the “RICE” setting (12 minutes low pressure). I quick-released the pressure and added the remaining ingredients. It turned out perfectly! Thank you!. Total comfort food and awesome flavor/texture combos. Thank you!!! Having this right now with spinach and it’s delicious-like a healthy vegan risotto. 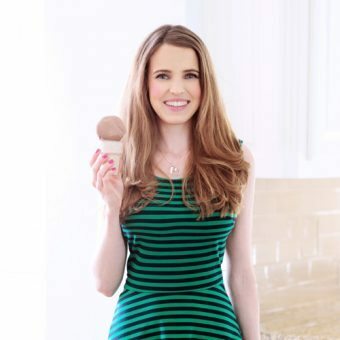 I love your blog Katie and when I first found it I was a carnivore but I’m now vegan and much more aware about the importance of nourishing foods and healthy fats. Thank you! Btw it made 2 servings for me. Do you think I can heat up the leftovers? Oh and next time I’m so going to add chickpeas and smoked paprika! Then this is going to be reheated for my breakfast!